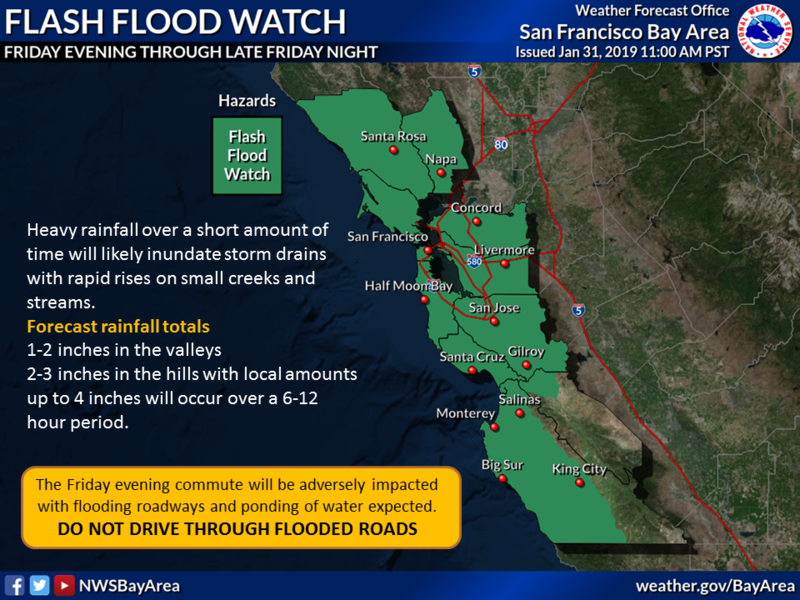 The National Weather Service has issued a flash flood watch and high wind advisory for all of Alameda County. Heavy rain and damaging winds will occur as the front moves through overnight into Saturday morning. 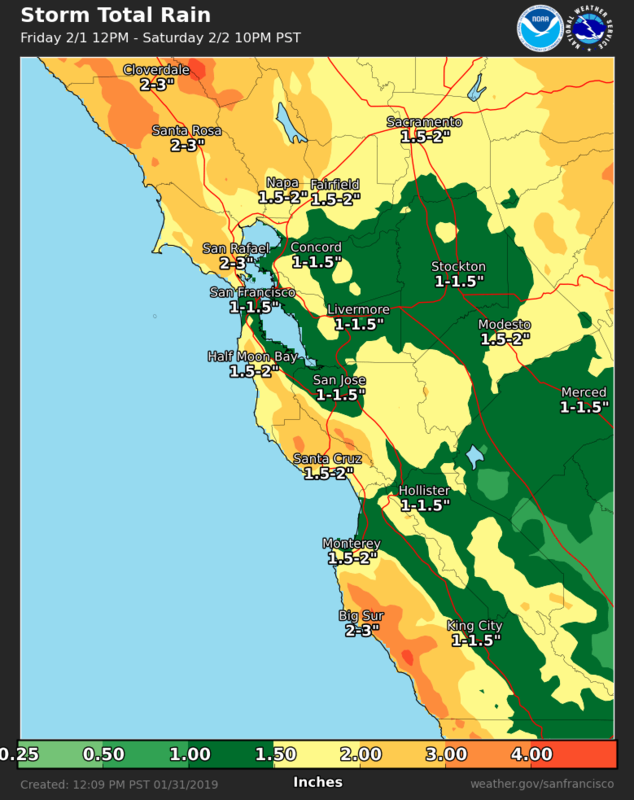 Rain totals of 1-2 inches in the valleys, 2-3 inches in the hills with local amounts in excess of 4 inches for favored coastal slopes. Wind gusts from 50-60 mph will bring down trees, branches and power lines. 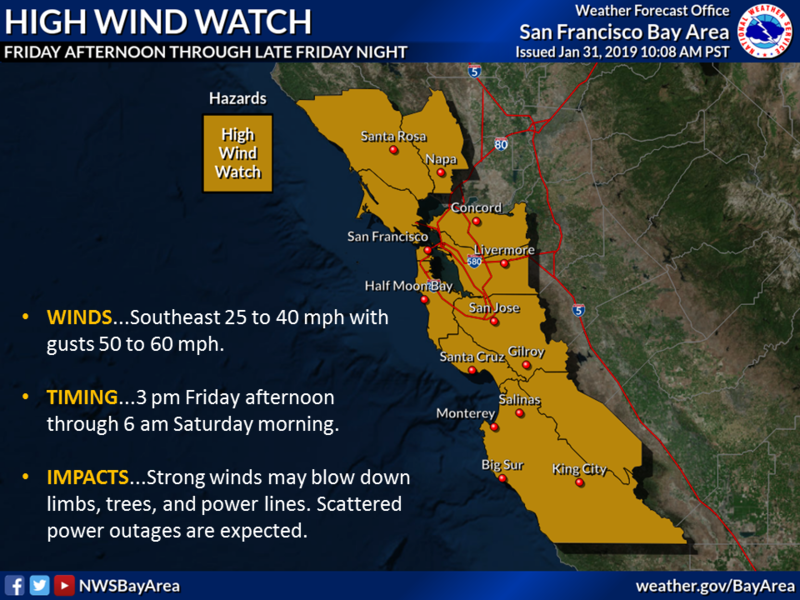 There may be a brief break on Saturday morning with renewed showers and thunderstorms Saturday afternoon and evening, especially from the Bay Area southward. Showers will linger on Sunday but overall there will be a break in the weather. A final cold system will drop down on Monday with possible showers. Snow levels will lower to at least 2000 feet and possibly lower in heavier showers. Cold daytime highs below 50 on Monday with cold overnight lows into the 30's most areas by Tuesday morning. For more information go to https://www.weather.gov/mtr/ and stay tuned to local media outlets for storm updates.